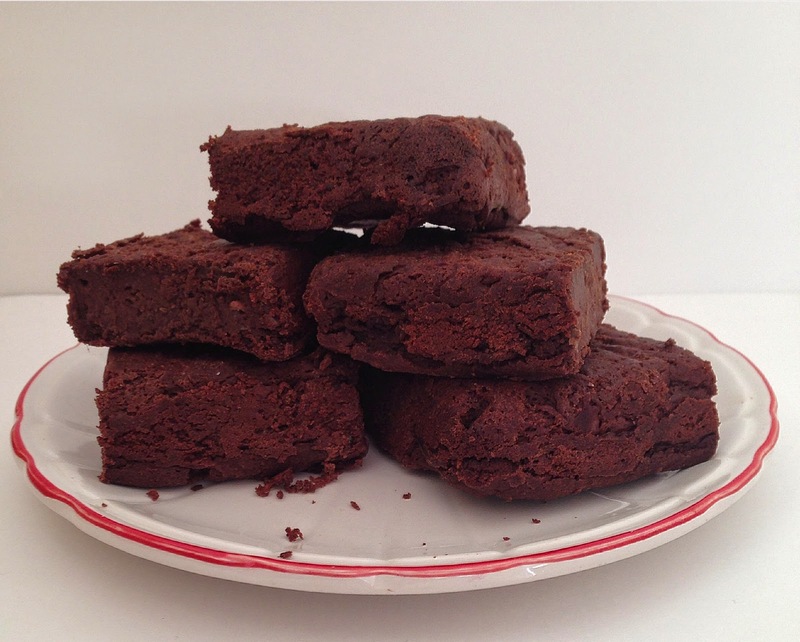 These brownies will satisfy your brownie craving, that's a promise coming from a brownie fiend! Did you know I am constantly dreaming of the perfect brownies? I'm thinking, how can I make it more fudgy, more chocolatey, allergi-friendly and pretty much guilt-free? Sure, I could use a regular recipe using butter and eggs and sugar, but what's the fun in that?? I also have the brownie curse, especially in California. I enjoy my brownies a la mode - a habit I formed living in America. But somehow when I was in San Francisco last year, it was like looking for Waldo. My siblings still talk about how I made them look for brownies for over an hour and how they missed out on getting drinks instead! When we finally found a place that served brownies, the restaurant said they were closing but that they could give me a brownie to-go. "Nooo I don't want a brownie to-go, I want ice cream with it," I said. My siblings were so mad at me that they forced me to buy the brownie and then took me to a drugstore to pick up vanilla ice cream. Ha ha. Not. 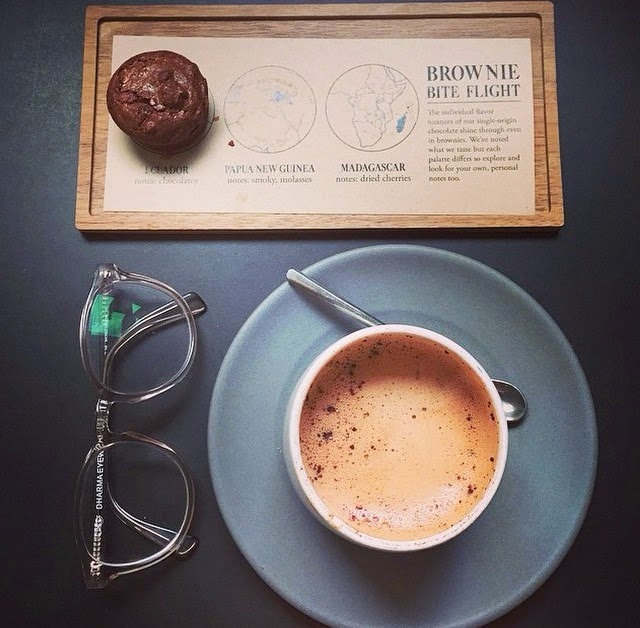 When we reunited a few months ago in San Francisco, I was sure that my brownie curse was over because I found the perfect place -- Gracias Madre had brownies on their menu and they were vegan too -- I was so excited! But when it came down to ordering dessert, they said they had just changed the menu so I didn't get my brownie -- nooo! My sister then took me to the famous salted-caramel ice cream place with a long line while our significant others were irritated to yet again be on the brownie hunt. My sister came through finding the place but that brownie was so over-sweet that I kind of felt sick. 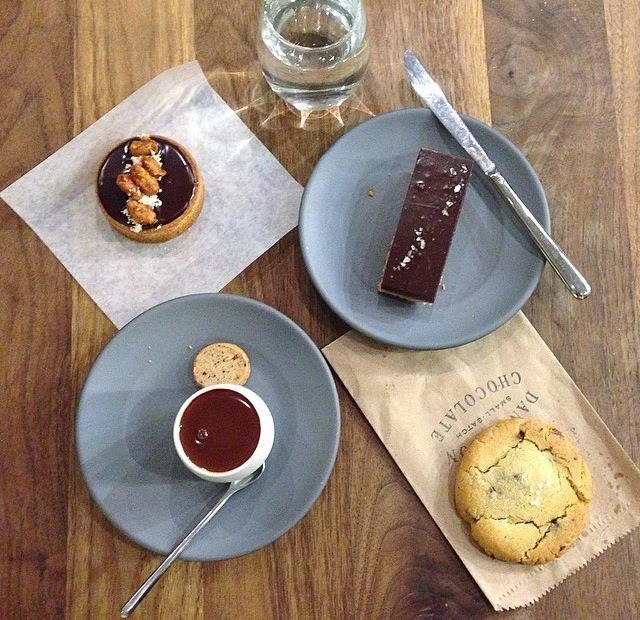 The next day, we found my heaven in San Francisco: Dandelion Chocolate. My brother had previously posted an insane photo on his Instagram trying 3 kinds of brownies there. So I had to go! When my sister and I walked in, we were already intoxicated by the chocolate aroma. It enraptured us. And you won't believe it but they said they ran out of brownies when we arrived!!! So we went back the next day and guess what? They ran out of brownies again! We did manage to try the other chocolate desserts like the divine chocolate peanut tart and chocolate chip cookies but I'm still thinking about my brownie curse. Grrrr, when will it end? But you know what? I don't even think I can eat a regular brownie any more. I usually make my own desserts at home using dates and coconut sugar and love making everything less sweet, so I don't think I can eat a sugary dessert with the same kind of passion. I love desserts that are subtley sweet, like the ones I ate in Berlin. Especially with chocolate. I don't want the divine essence of cocoa to be masked in sugar, butter and eggs. I'm a true chocaholic and that means I want to taste the bitterness in my dessert. Back to these brownies. In my Swedish kitchen I've experimented with a lot of brownie recipes. I have a great traditional brownie recipe using eggs and butter but that's not what I'm interested in right now. I wanted to make a dessert without eggs, flour, butter and sugar. That may sound ridiculous but it can be done! Mine has blackbeans, which adds fudginess and replaces the flour. (And no, you don't taste any bean residue at all!) 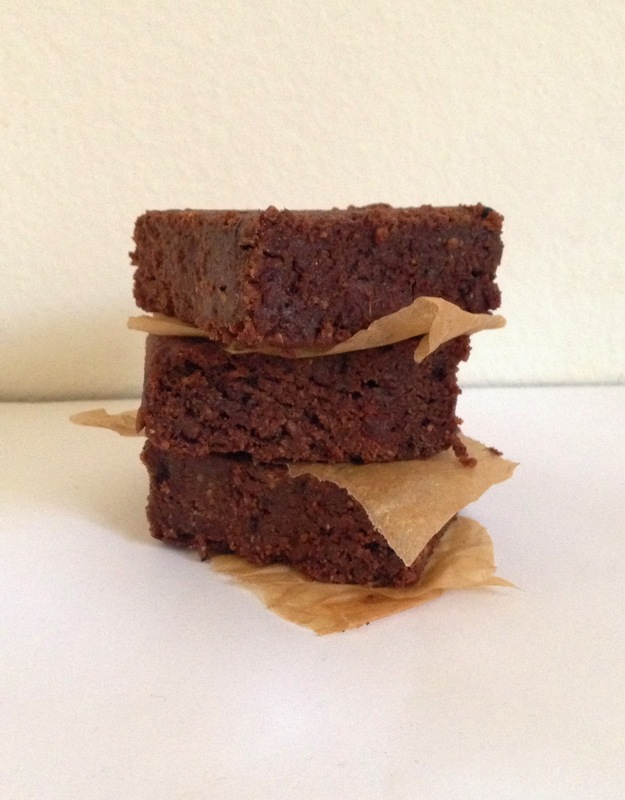 Dates also add fudginess and replace the tons of sugar that a normal brownie contains. And then coconut oil and canola oil add a balance of fat. Cocoa and melted chocolate ensure that it has enough chocolate flavor. The only issue is that it doesn't have that signature crinkly crust on top so I will be continuing on my brownie-perfecting quest. But that's just a cosmetic problem because these are delicious!!!!! ENJOY and let me know what you think when you make them! Preheat oven to 350F or 180C. Heat the water and dates together until the dates soften. Heat the chopped chocolate, instant coffee powder and oil until melted. (I used the microwave for both.) Throw all the ingredients into the food processor (except the walnuts) and blend until completely smooth. Mix in the walnuts. Line a loaf pan with parchment paper and then pour the mixture into it, smoothing out the top. Bake for 15-20 minutes until a toothpick inserted into the center comes out clean. Cool before cutting. Store leftovers in the fridge.